The budget to demolish and replace Horsham’s Piries Place Car Park has risen by £750,000. 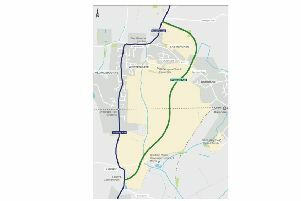 Planning permission for the scheme was granted by Horsham District Council’s Planning Committee North in early February. The new building will replace the existing 330-space facility, with a capacity of 516 spaces. A budget of up to £7.25m was approved by HDC’s Cabinet in September 2017. A sum of marginally under £7.1m has been agreed with a contractor but this sum is ‘higher than anticipated’. Therefore cabinet members are being asked to increase the total budget of the project from £7.25m to £8m when they meet later today (Thursday March 22). According to an officers’ report the increased capital budget means the cost of borrowing could eclipse the extra income from the new spaces in the first few years after construction. Returns could improve over time with price rises and increased take-up.